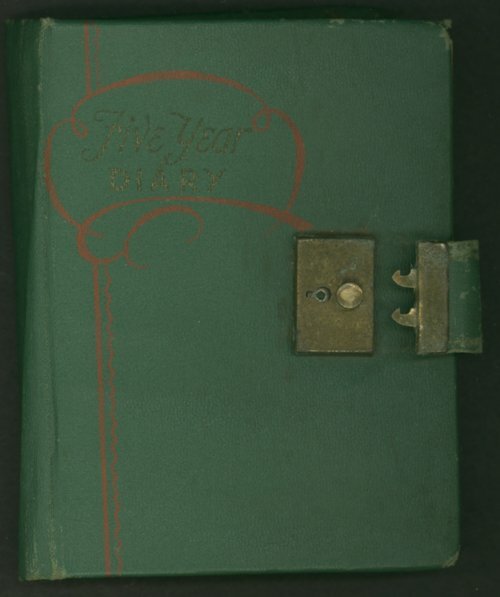 This is a diary written by Claire Eva Paine, who lived at 900 Mulvane in Topeka, Kansas. She lived with Annie Paine Atkinson, her sister. At the time the diary was written, Claire was employed as an assistant in Dr. Don R. Paine's office. According to census records, Dr. Paine was an optometrist and Claire Eva Paine's brother. The diary documents her activities in 1942. She writes about family members, World War II, social events, movies, and expresses her displeasure with President Roosevelt. She did not record information for each day so there are gaps.